Condense® Pre Workout By Purus Labs® at SameDaySupplements.com® for lowest price. What Is Condense By Purus Labs? 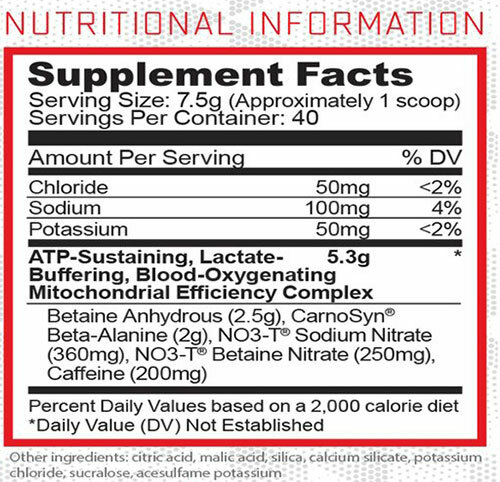 Condense pre workout supplement is a novel approach to pre workout performance-enhancement designed to expand performance capacity, utilizing patent-pending nutrient technology and peer-reviewed, human-validated, orally efficacious dosages, rather than merely and temporarily increase acute performance as with most short-sighted, stimulant-laden products currently on the market. What Makes Condense Different From Other Pre Workouts? Purus Labs has revolutionized the pre workout category, once again, by actually achieving what other companies only claim: that is, eliciting extreme vasodilation through nitric oxide production. This, in turn, supports a cascade of welcomed physiologically enhancing benefits to athletes of all cloth through enhancing blood-flow, heightening substrate utilization (i.e. better nutrient absorption), preserving ATP stores, propelling oxygen delivery to myocapillaries, and reducing overall exercise oxygen cost allowing you to handle greater workloads (e.g. more weight) and exercise longer before exhaustion (e.g. more reps). What Can I Expect While Taking Condense Pre Workout? No Creatine. No dye. With condense your body can sustain muscular force production. Purus Labs Condense Increases power & force output, Postpones muscular exhaustion, Preserves oxygen & ATP stores. Enhances energetic efficiency. Prohydration matrix migrates cramping. Maintains muscular PH levels. Purus Labs Condense is the first and only preworkout to achieve exercise capacity expansion (endurance), rather than merely acute performance, as it relates to physiological enhancement. Using novel and proprietary vasodilatory nutrient-technology, your blood vessels will widen causing a cascade of muscle-building and performance -sustaining effects through enhanced oxygen and nutrient delivery to the myocapillaries. What's in Purus Labs Condense? How Do I Take Condense Pre Workout By Purus Labs? Mix 1 serving with 8 ounces of cold water and consume 10 minutes prior to exercise. Condense can be used on nontraining days as well. Do not consume more than two servings at any one time. Do not use more than twice daily. ConDense is intended only for healthy adults over the age of 18. Do not use if you are currently pregnant or nursing, could be pregnant, or are attempting to become pregnant. Consult a licensed healthcare practitioner before using this product. Do not use this product if you have been diagnosed with or have a family history of (including, but not limited to): heart disease, thyroid disease, liver disease, diabetes, hypoglycemia, hypo/hypertension, asthma, Barrett's Esophagus, gastroesophageal reflux, any psychiatric condition including depression or seizure disorder, or if you are using any prescription drug, or over-the-counter drug, in particular those intended to treat erectile dysfunction or blood pressure disorders. Discontinue use and contact a doctor immediately if you experience an irregular or rapid heart beat, chest pain, shortness of breath, dizziness, lightheadedness, fainting or presyncope, headache, nausea, or other similar symptoms. If you are a performance athlete, please check with your sanctioning body prior to use to ensure compliance. † PLEASE NOTE: The information above is intended for reference only. While we attempt to keep our information accurate, we cannot guarantee it is an accurate representation of the latest formulation of the product. If you have any concerns, please visit the vendor’s web site. The information above are the views of the product's manufacturer, not the views of Same Day Supplements. These statements have not been evaluated by the Food and Drug Administration. This product is not intended to diagnose, treat, cure or prevent any disease. We have a large selection of in-stock Purus Labs products including Pre Workout items and others for the lowest prices at SameDaySupplements.com® It's always easy to shop for Condense® Pre Workout By Purus Labs® at SameDaySupplements.com® because you can browse by reviews, brand, prices or search for specific ingredients using our search tool. In-stock orders placed before 3pm EST ship out the same day to USA, Brazil, United Kingdom, Canada, Germany, Australia, Japan, India, France and worldwide at the cheapest prices online.